For the fourth successive year a Queensland victory set a new record for consecutive State of Origin titles, reaching seven. Game I was played at Melbourne’s sold out Etihad Stadium and won by Queensland. New South Wales’ series-equalling win in Game II, played at Sydney’s sold out ANZ Stadium. The decider, Game III was played at Brisbane’s Suncorp Stadium and was won by Queensland. 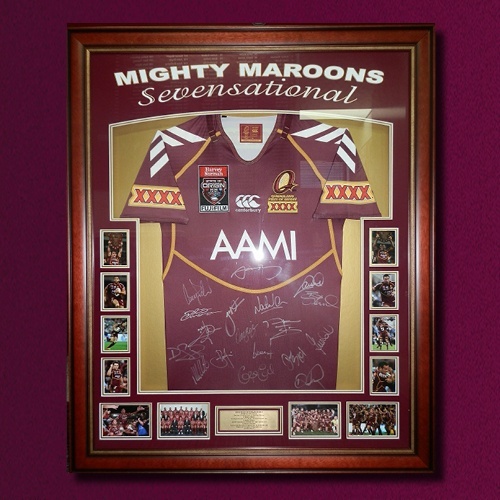 This limited edition framed memorabilia is personally signed by the 2012 Queensland State of Origin Team.